​​SR Pest Control are an honest, reliable pest control business, who listen to your concerns and respect your property. We provide quality pest control services with little to no disruption to you and your family. SR Pest Control professional treatments provide fast knockdown and continuous protection. We are based in Gordonvale and service throughout Cairns, Northern Beaches, Cairns Southern Suburbs down to Innisfail and Atherton Tableland. 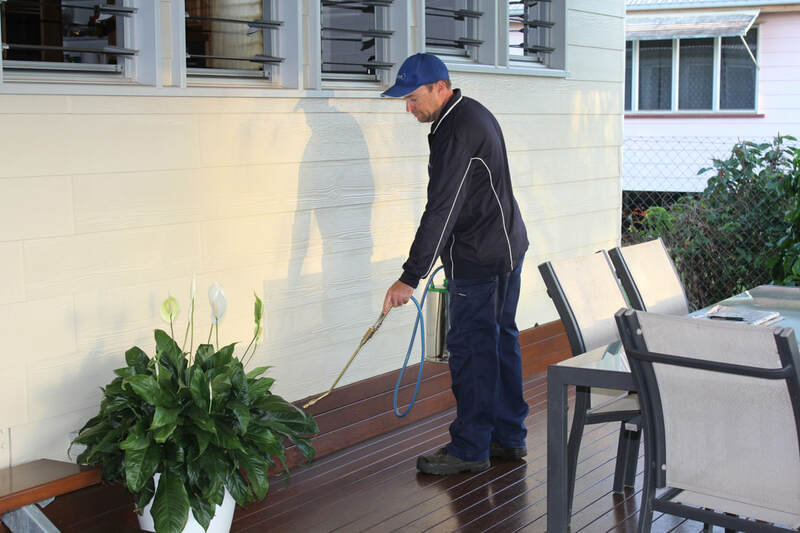 Each SR Pest Control technician holds a complete Certificate III in Pest Management and a Queensland Health Department Pest Management Technician License. We don't feel the need to charge exorbitant prices. As SR Pest Control want longevity in the pest control industry and it is unnecessary. As we are a small local family business and we don’t have the expense of a shop front or franchise fees. This keeping costs down to a minimum and we can focus on giving our clients a premium service at a reasonable price. It is recommend to carry out a complete timber pest inspection prior to a termite treatment to ensure all affected areas are located and treated. Allow 2-3hrs for an inspections, we then compile and generate your comprehensive timber pest report detailing our finding and a management plan suited to your property. SR Pest Control understand business logistics and provide treatment programs tailored to meet your business needs with minimal disruption to your business. On site treatment log book, which our technician will record inspection findings, action taken & recommendations to reduce future risk. Site map of pest baiting materials, licensing, current insurance, police check and blue card.